LEGO® brick enthusiasts of all ages are being offered a unique opportunity to showcase their talents and have their creations judged by the UK's only LEGO Certified professional builder. The Novium Museum in Chichester is running a LEGO brick building competition to accompany its popular summer blockbuster exhibition, Bricks Britannia: A History of Britain in LEGO Bricks. The competition is part of a series of events organised to run alongside this exciting exhibition, which runs until 31 October 2018. Builders are being invited to make a model which represents an iconic moment in the history of Britain - it could be a moment in time, a landmark or a person - in keeping with the historical theme of the exhibition. Winners will be chosen by Duncan Titmarsh from Bright Bricks, the UK's only LEGO Certified professional. 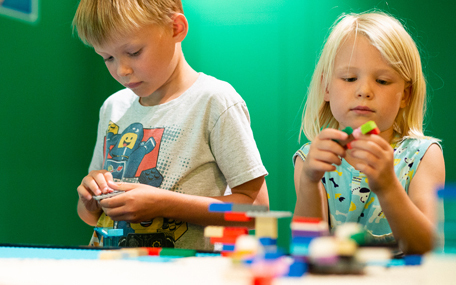 Councillor Eileen Lintill, Cabinet Member for Community Services at Chichester District Council, says: "We know that there are lots of LEGO brick enthusiasts, and as part of the exhibition the museum team wanted to celebrate and harness the huge amount of creativity out there. "Since the exhibition opened there has been a special case in the exhibition waiting to be filled, and the museum is inviting LEGO brick fans to have a go at building their own addition to the fantastic display of Bricks Britannia models already in place. "Judging by the imaginative builds the team has found in the interactive LEGO Brick zones each day, we know that there are many talented builders out there!" As well as having their model displayed alongside the stunning creations in Bricks Britannia, winners will receive family tickets to The Midnight Gang , generously donated by Chichester Festival Theatre to celebrate their production of David Walliams' hit book this autumn. Models should be built at home. Entrants must then take up to five photographs of their model and submit them to the museum by Sunday, 9 September. All creations submitted should be an original build, and use LEGO bricks only. Once the photographs have been submitted, entrants should make sure they keep their model intact until after judging has taken place. Winners will be announced by 21 September. Full details of how to take part can be found by visiting The Novium Museum's website.